Currently resident at Pacha, Ibiza with his new weekly residency, ‘Wisdom Of The Glove’ Guy Gerber has so far managed to coax artists such as Mathew Jonson, Four Tet and John Talabot deep into his surreal, otherworldly new club night. In addition to his new Pacha residency, on a recent international tour, which took in dates throughout Japan, South America and Europe, the Supplement Facts boss travelled through nine countries whilst creating an entirely original album purely on his Sennheisers. 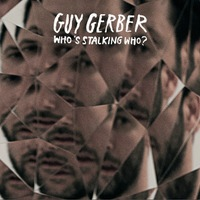 The end result is ‘Who’s Stalking Who?’, which clocks in at just over an hour in length and demonstrates Guy’s versatility on his productions. In addition to being available as a cover-mount CD on Pacha magazine, Guy is giving the album away for nothing to music fans around the world! All you have to do is click on the link below and start downloading! Easy.